TakeSave is promoted as a useful tool that is supposed to improve the user’s online shopping experience by presenting him with a variety of advertisements in the form of pop-ups, banners, coupons, etc. TakeSave is a browser extension compatible with the popular browsers like Google Chrome, Safari, Mozilla Firefox, etc. The displayed ads by TakeSave may be of interest to some computer users, but they should bear in mind that they might get redirected to potentially unreliable web locations if they choose to click on any of the ads. Download a FREE System Scanner, to See If Your System Has Been Affected By TakeSave. Like a typical adware program, TakeSave is delivered via bundled downloads of free of charge programs, like media players, video players, program updates, etc. This way of distributing software is widely spread among developers and is not considered to be illegal. Still, it is easy to avoid unwanted installations; all, you have to do, is choose the Custom installation options and un-select the additional plug-ins or apps you have no use of. This can save you a lot of time and effort later. Reportedly, InstallRex, Amonetize, and Vittalia installers are used to distribute TakeSave. Different adware programs can end up on your PC through drive-by downloads, when you visit corrupted websites or if you open malicious attachments of spam email messages. You need to choose your download sources mindfully and be careful which email attachments you open and that one you send to the Trash directory right away. Keeping your AV program up-to-date and backing up your files on a regular basis should not be overlooked. How Does TakeSave Affect Your PC? Once in the system, TakeSave injects numerous pop-up, in-text and banner ads. Being annoying and interrupting your browsing activities are not the only issues they can present; pop-up ads can also expose your system to security risks. 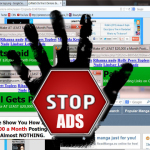 Adware programs are normally used by third parties to raise web traffic and generate pay-per-click revenue. The advertisements displayed by TakeSave may redirect you to malicious websites. TakeSave does not assume liability for the content or the privacy policies of these sites, so any threat you get exposed to by visiting one is at your own responsibility. 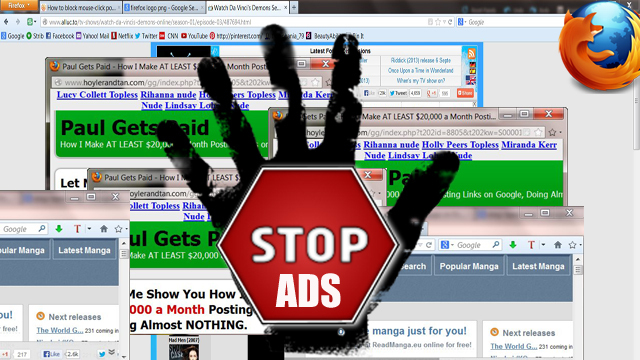 In order to display advertising content related to your interests and preferences, TakeSave tracks certain information. This may include browsing history (visited web pages, clicks and search terms), personally identifiable information (data from and about social media websites you have visited), IP address. The collected data may be shared with third parties for the purposes of targeted advertisement. TakeSave is not malicious per se, but it can expose your machine to security risk, so computer experts recommend its removal from the affected PC. TakeSave can be deleted manually or with the assistance of a legit anti-malware tool. Just follow the steps below to remove TakeSave permanently from your computer. Follow the instructions above and you will successfully uninstall TakeSave. After TakeSave is removed, restart Mozilla Firefox by closing it from the red “X” in the top right corner and start it again. From the opened “Extensions” menu locate TakeSave and click on the garbage bin icon on the right of it. After TakeSave is removed, restart Google Chrome by closing it from the red “X” in the top right corner and start it again. Select TakeSave to remove, and then click ‘Disable’. A pop-up window will appear to inform you that you are about to disable the selected toolbar, and some additional toolbars might be disabled as well. Leave all the boxes checked, and click ‘Disable’. After TakeSave has been removed, restart Internet Explorer by closing it from the red ‘X’ in the top right corner and start it again. A pop-up window will appear asking for confirmation to uninstall TakeSave. Select ‘Uninstall’ again, and the TakeSave will be removed. 3. Remove TakeSave automatically with Spy Hunter Malware - Removal Tool. 3. Remove TakeSave automatically with Spy Hunter Malware – Removal Tool. Threats such as TakeSave may be persistent. They tend to re-appear if not fully deleted. A malware removal tool like Combo Cleaner will help you to remove malicious programs, saving you the time and the struggle of tracking down numerous malicious files. Threats such as TakeSave may be persistent on your system. They tend to re-appear if not fully deleted. A malware removal tool like SpyHunter will help you to remove malicious programs, saving you the time and the struggle of tracking down numerous malicious files. Note! Your computer system may be affected by TakeSave and other threats. SpyHunter is a powerful malware removal tool designed to help users with in-depth system security analysis, detection and removal of threats such as TakeSave. 1. Install SpyHunter to scan for TakeSave and remove them. 2. Scan with SpyHunter, Detect and Remove TakeSave. Ransomware infections and TakeSave aim to encrypt your files using an encryption algorithm which may be very difficult to decrypt. This is why we have suggested several alternative methods that may help you go around direct decryption and try to restore your files. Bear in mind that these methods may not be 100% effective but may also help you a little or a lot in different situations. Note! Your computer system may be affected by TakeSave or other threats. Remove TakeSave by cleaning your Browser and Registry. Fix registry entries created by TakeSave on your PC. Combo Cleaner is a powerful malware removal tool designed to help users with in-depth system security analysis, detection and removal of threats such as TakeSave. Step 5: In the Applications menu, look for any suspicious app or an app with a name, similar or identical to TakeSave. If you find it, right-click on the app and select “Move to Trash”. Step 6: Select Accounts, after which click on the Login Items preference. Your Mac will then show you a list of items that start automatically when you log in. Look for any suspicious apps identical or similar to TakeSave. Check the app you want to stop from running automatically and then select on the Minus (“–“) icon to hide it. Remove TakeSave – related extensions from your Mac’s browsers. A pop-up window will appear asking for confirmation to uninstall the extension. Select ‘Uninstall’ again, and the TakeSave will be removed. When you are facing problems on your Mac as a result of unwanted scripts and programs such as TakeSave, the recommended way of eliminating the threat is by using an anti-malware program. Combo Cleaner offers advanced security features along with other modules that will improve your Mac’s security and protect it in the future. Hey !, I found this information for you: "Remove TakeSave from Your PC". Here is the website link: https://sensorstechforum.com/remove-takesave-from-your-pc/. Thank you.